Welcome back to Nothing But Brick! 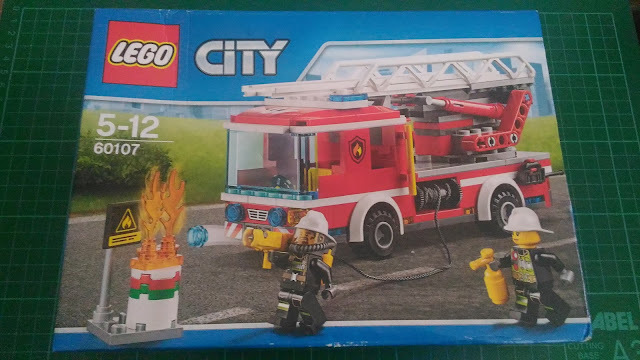 Today, I'll be doing another Lego City review for set # 60107, listed as Fire Ladder Truck. This set was a gift from my sister who's based on Australia with her family. They went home for a month-long vacation last April. I've checked the local toy stores and apparently, this set sells for PHP1,799.00 (roughly USD38.00). 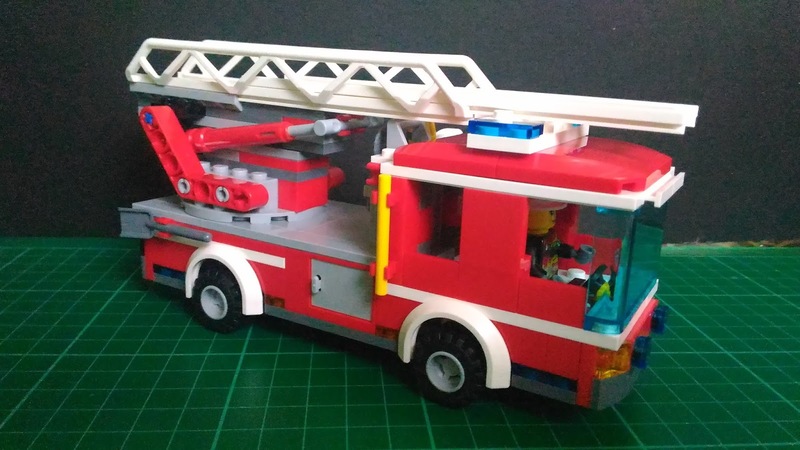 This is my first Lego fire truck and I really had a great time building this kit! 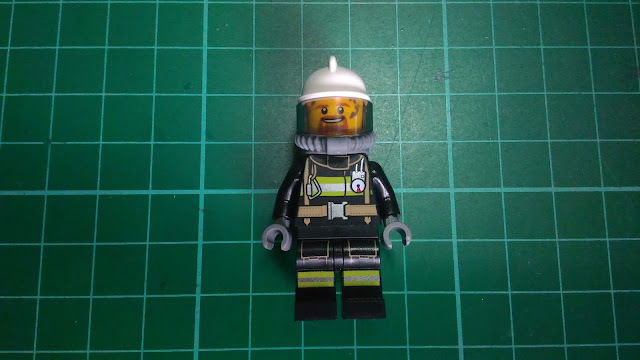 The medium-sized box comes with your typical Lego instruction manual, two (2) big bags of figs and bricks and a small sticker sheet. 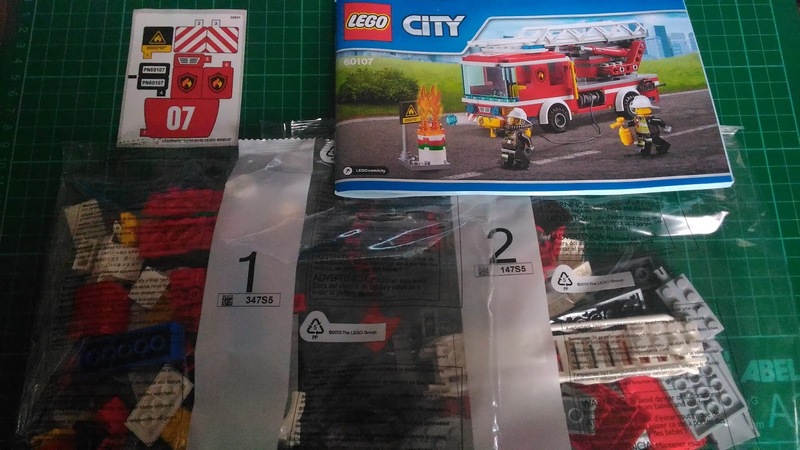 Bag # 1 mostly contains the pieces needed to build the fire truck's chassis and the small diorama piece composed of a flammable sign post and a burning Octan drum. Bag # 2 contains the parts for the truck's cabin and ladder. Last but not the least, here's a look at the sticker sheet included in the set. 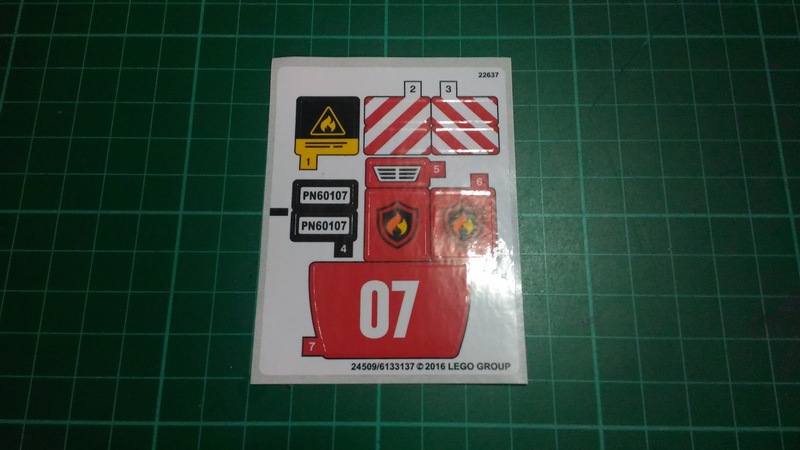 Except for the flammable sign, all of the stickers are to be applied on the fire truck. 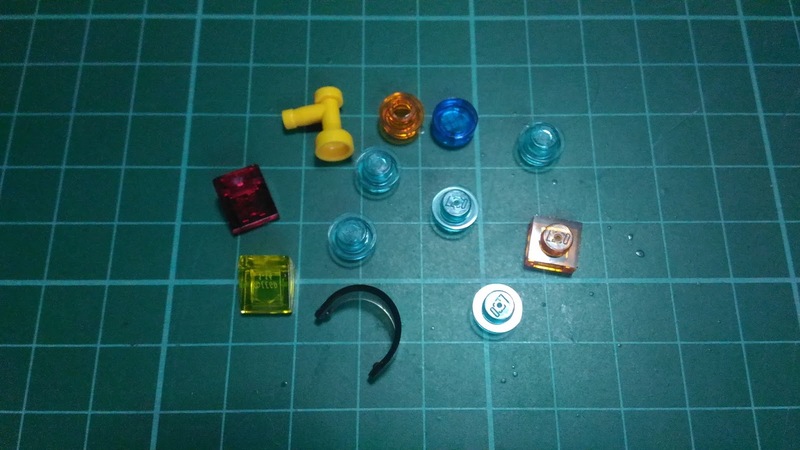 Now, let's look at the figs included in the set. This kit comes with (2) two firefighters: a male firefighter equipped with the traditional head gear, mask and oxygen tank and a female firefighter equipped with just the helmet. Based on their equipment, it seems that the former does the actual fire fighting while the latter serves as a supportive role as the engine's driver/operator. There are different torso prints on each fig and both designs have interesting details. 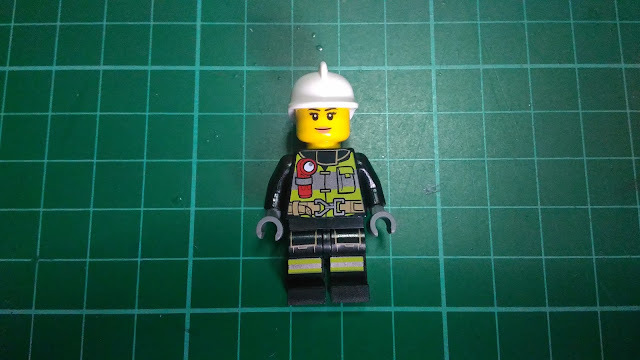 The printed legs are also a nice touch. 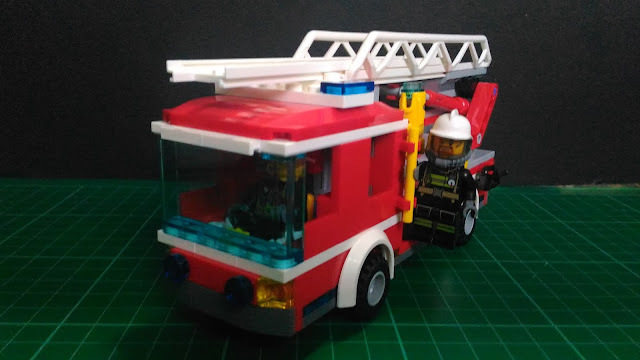 It took me a good twenty minutes to build the fire truck, which comes in your typical Lego City Fire Department red and white color scheme. Building the chassis was pretty easy and straightforward. It gets interesting when you get to the truck's ladder. I particularly like the hydraulic pipes that extend when you move the mechanism vertically since it adds a fair amount of realism to the build. 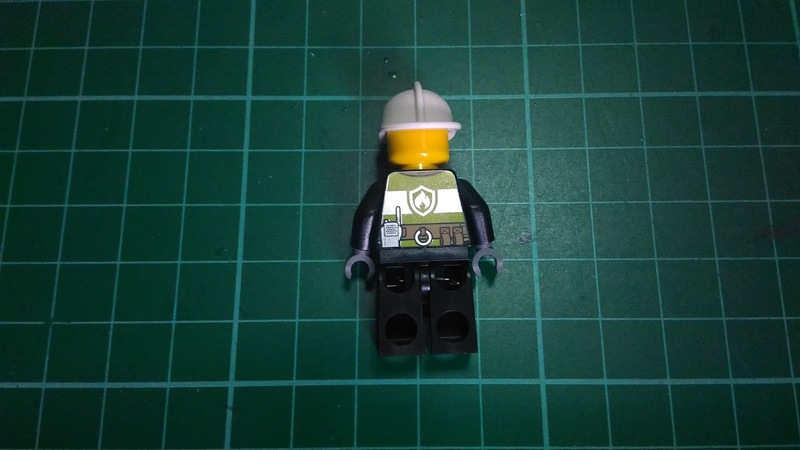 Kudos to the designer for that! 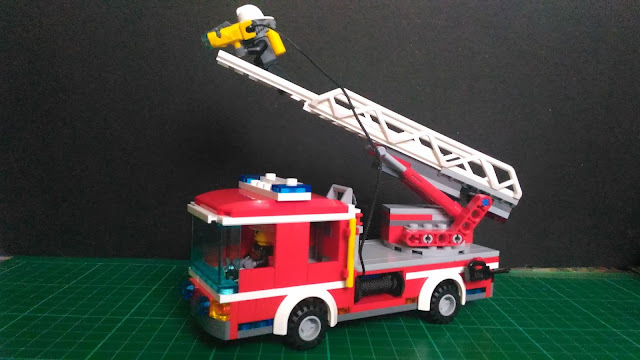 Aside from the ladder, the truck has other features such as the extendable fire hose that's actually a stud shooter. There's also a small compartment in one side for keeping the firefighters' tools. 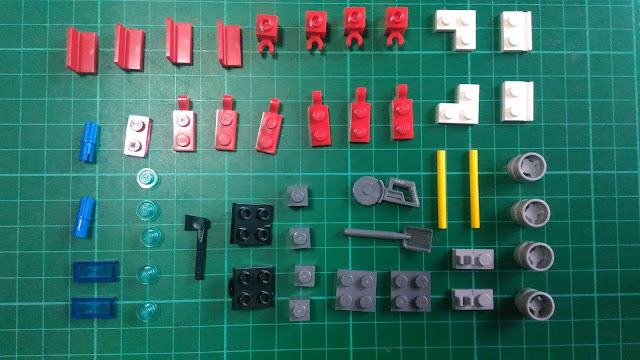 Most of the spare parts for this set are transparent pieces. 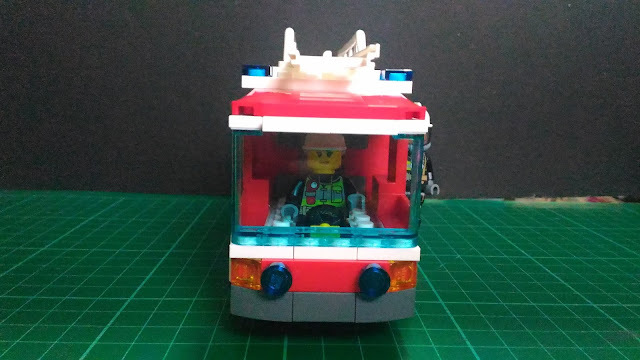 The transparent light blue studs can be used to emulate water shooting out of the truck's hose. All in all, Fire Ladder Truck is a pretty good set. The design of the set's main piece, the fire truck, was well thought of. 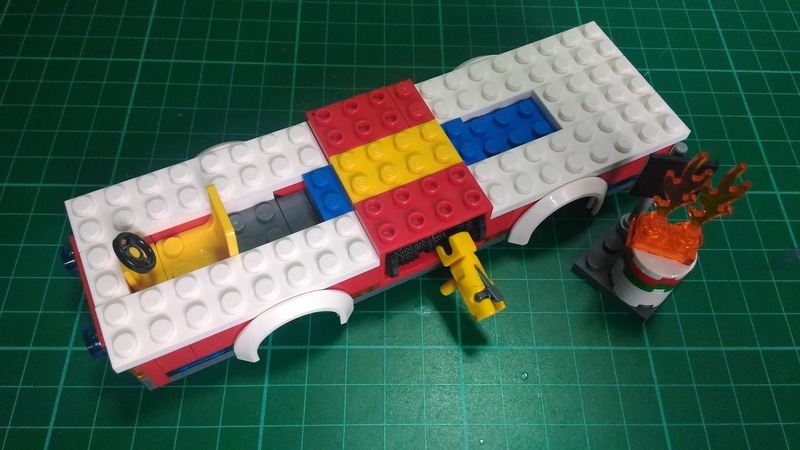 The vehicle is actually very sturdy and would definitely survive kids' play time. 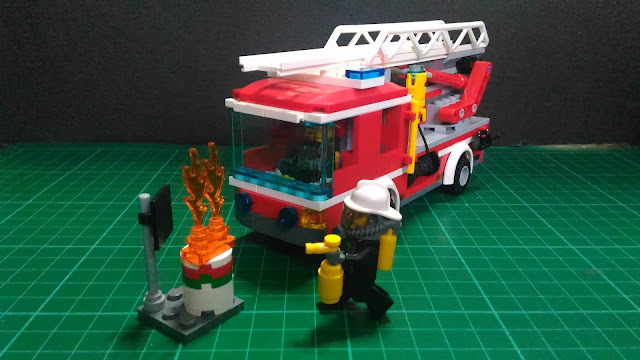 I would recommend this kit to builders who have their own Lego City and are looking for a decent medium-sized fire engine for their firefighters. 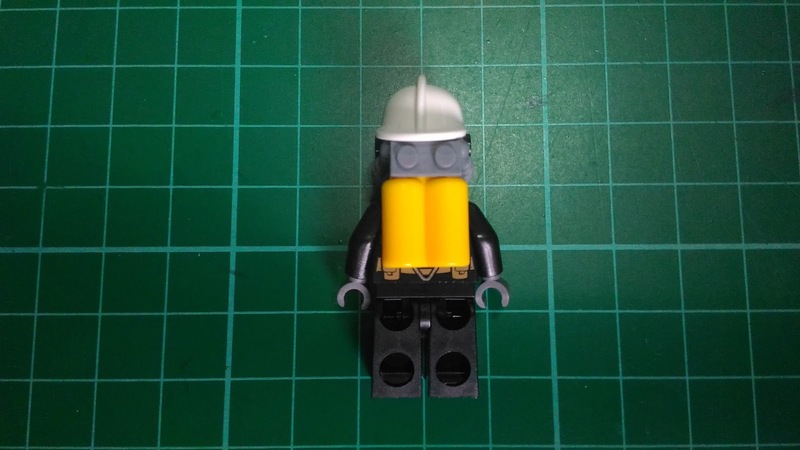 Another simple review done for Nothing But Brick! 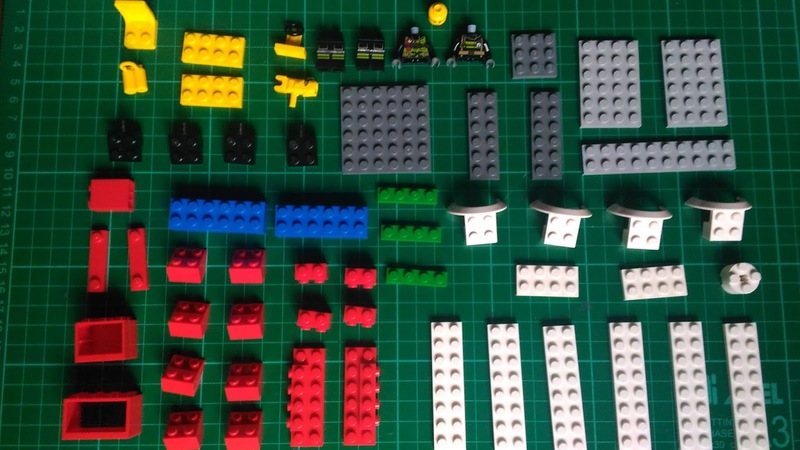 Really hope readers would find these set reviews helpful. 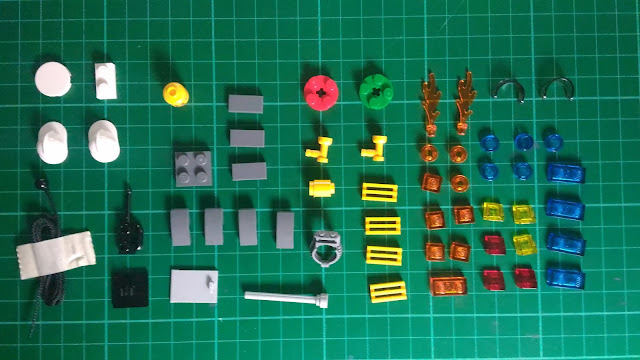 I plan to make these reviews better in the future by adding stats such as price per piece. I also want to add a grading system but I still have to work on the criteria. Anyway, I guess this will do for now. Till next entry! 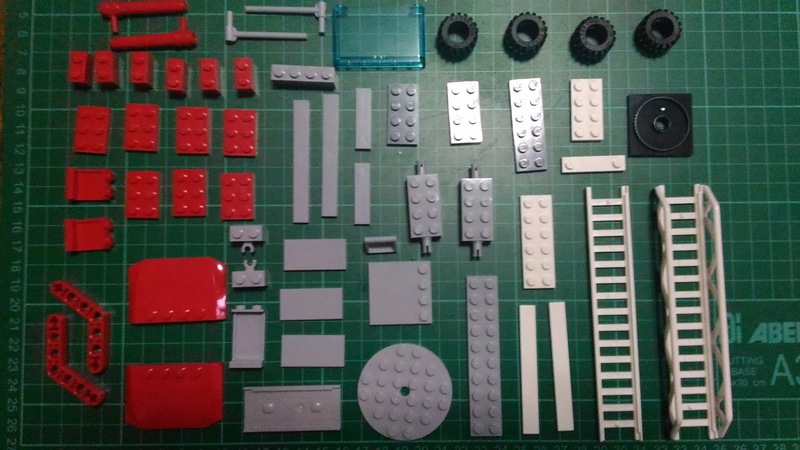 cool....makes me want to go and get a lego to build! You should try it! I often get lazy to come up with new stuff and most of the time I get writer's block. Good luck!